HAGERSTOWN – St. Maria Goretti High School President Chris Cosentino announced to the school community at a meeting March 21 that the school will move in fall 2019 to a new campus, due to the current academic building sitting in a flood plain. 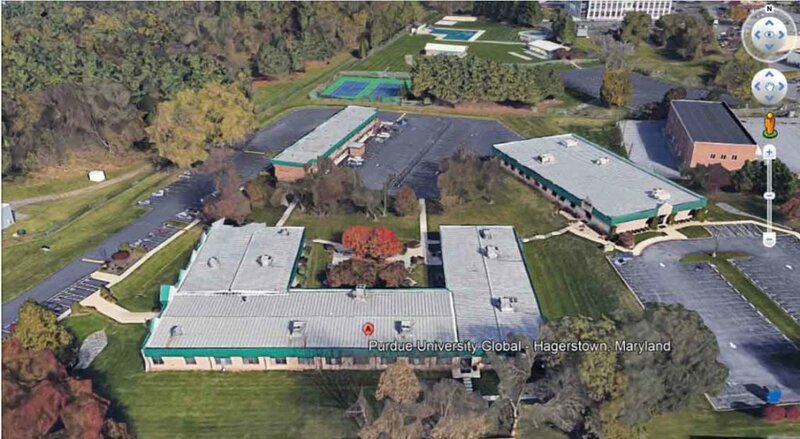 The new campus, which currently houses Purdue University Global, is 1.3 miles from the current school site. The academic and administration functions of the school will move, while athletic activities will stay at the current site. The school’s gym is not affected by the flood plain. Students and parents are familiar with the parking lot flooding after heavy rains and standing water on various parts of the campus. Unseen to most is the water that comes up through the floor of the boiler room. Jim Sellinger, chancellor of education for the Archdiocese of Baltimore, said it was appropriate that it was “raining like a banshee” on the night he and Cosentino addressed the community. “The sump pumps in the academic building are probably running full blast and the boiler room is probably flooded,” he said. A steady rain dropped more than 2 inches in Hagerstown that day. 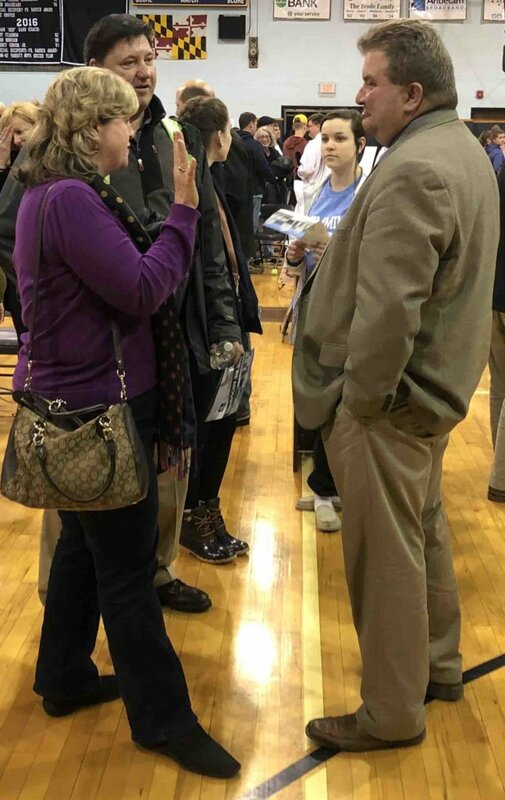 Sellinger told the more than 100 parents and students gathered that the engineers’ and experts’ recommendation was to abandon the current boiler room. Drilling holes in the boiler room slab floor to reduce water pressure, additional sump pumps around the building and sandbags mitigate the problem for a while but cannot fix it. “That building is not sustainable,” Cosentino said. As Sellinger and Cosentino made a presentation, students and parents alike burst into applause when they saw air conditioning listed as one of the benefits of the new campus. 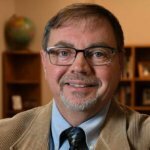 The school president said the move will be positive from several standpoints, in addition to being drier. The current building, built in 1954, has no air conditioning and the classrooms are fairly small. At the beginning of the current school year, classes were twice dismissed early because of extreme heat. The new academic building that will be leased is fully air conditioned, and average classroom size is about 700 square feet, compared to the current 300 to 400 square feet. Even though the new building is only about 1,000 square feet larger overall, there will actually be more, larger classrooms due to the inefficient usage of space at the current site. The new building will also have three up-to-date science labs, which will be especially useful as the school launches Project Lead the Way, a STEM (science, technology, engineering, math) curriculum. Though PLTW has several different components available, some of which are used by other schools in the archdiocese, Goretti will use its engineering program. Sellinger said the school put in a four-year lease on the new site, which was put up for sale at about the time the school was looking for options. 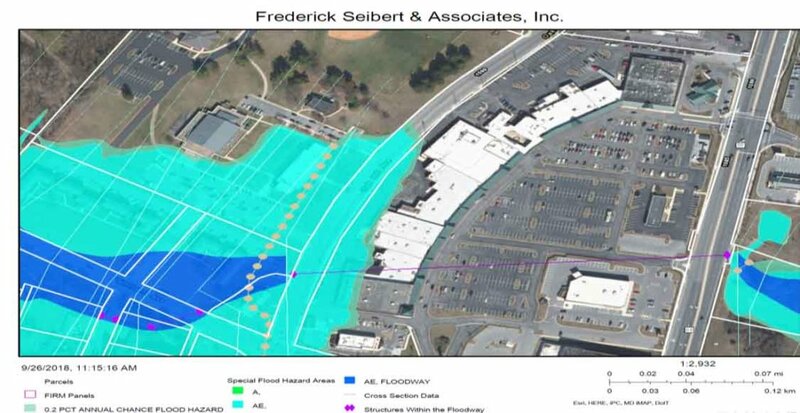 Goretti could purchase the whole 7-acre site – which includes two additional buildings – when the lease is up, or could opt to build a new school at the existing Goretti campus, out of the flood plain. A tour of the new building will be held for parents and students May 19. Sellinger cautioned that “it looks great now,” but will be even better after renovations are made over the summer. He told the community, “If this all works out, we’re going to tear down the academic building and put in a brand-new soccer and lacrosse field. We won’t have any problem with irrigation,” he said to laughter and applause. Funds would need to be raised for such a project. In an interview, Cosentino said he is “hopeful, positive and excited” about the prospect for the move, though he acknowledges that any kind of change is hard. Cosentino is more acutely aware of the concerns about a move because he was principal of St. John’s Catholic Prep when it moved from its Prospect Hall campus in Frederick to Buckeystown. St. Maria Goretti’s move will take place over the summer. The school wants to modify part of the leased space, including converting some office space into classrooms and converting the existing student lounge into art and music space. A chapel will be added. Therefore, he wants to ensure that there’s a designated space for the Blessed Sacrament at the new campus, “a chapel for students and teachers to support.” (The current campus includes a perpetual adoration chapel). The school will also move the statue of St. Maria Goretti from the current school to the new location. While the gym remains at the original campus, the school will continue to use its two small buses and a school van to transport students for athletics. The school’s lacrosse, tennis and swim teams already use off-site facilities. However, the consolidation of academics in one building will ensure that students won’t have to run between buildings in adverse weather. The school plans a “grand re-opening” before classes start in the fall, with families and dignitaries in attendance. Archbishop William E. Lori is scheduled to bless the building at that time. Cosentino said the school’s Catholic identity is vital to its mission, and he expressed gratitude to Archbishop Lori and representatives from the archdiocesan schools and facilities offices for their assistance in evaluating options for the campus. Parents and students noted that something to address the school conditions was long overdue. Chris Mutchler, whose son is a junior and whose daughter graduated from Goretti last year, said the air conditioning is a primary benefit. “You come in here in August and it’s brutal,” he said. Since his wife, Terri, is the school’s soccer coach, he’s also excited about the possibility of having a new athletic field. Both of junior Madison Carbaugh’s parents graduated from Goretti. “I’m glad to see we are keeping the traditions and making it better.” She looks forward to a larger cafeteria, which can also be used for assemblies and school Masses, as well as larger classrooms. The small classrooms at the current site were cramped. Sophomore Olivia Craver also noted how cramped the current school is. Like so many others, she is grateful there will be air conditioning. Her classmate and fellow volleyball player MacKenzie Kotch is excited about the athletic field and, of course, the air conditioning. Tracie Cook, parent of a sophomore and an incoming freshman, said, “My number one issue is safety and they addressed that.” Cosentino and Sellinger both emphasized that the new site will have security cameras and should be safer in many ways than the current building. Cook said she also hopes tuition doesn’t increase too much as a result of the plans. Cosentino noted that tuition for next year has already been announced and that will not change. Jen and Roger Boothe, who have a senior and a freshman at Goretti, were just short of ecstatic. Between them, they had discussed several possible scenarios when they were invited to the meeting. “This is better than anything we predicted,” Jen said. Roger noted that the conditions of the current facility have caused his children to experience day-to-day problems in learning. The new site and the possibility for a new field will “have a big impact down the road on athletics. That’s a big part of who Goretti is,” he said. “It’s a win-win all around,” Roger said.